LG manufatures LG`s own compressor based on durability and high technology. Now we present 10 year warranty not only Inverter Linear compressor but also Inverter, Recipro compressor with our reliable technology. Compressor of the product is made by LG and we manufature compressors in LG’s own facility. It`s hard to find the brand which manufatures compressors by themselves though. 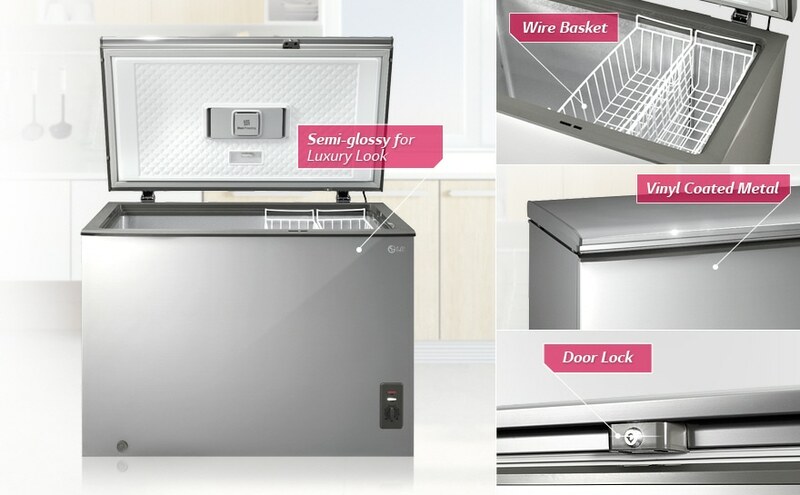 You can have peace of mind with LG Chest Freezer which maintains the temperature degree of -18℃ to -1℃ during power-cut. 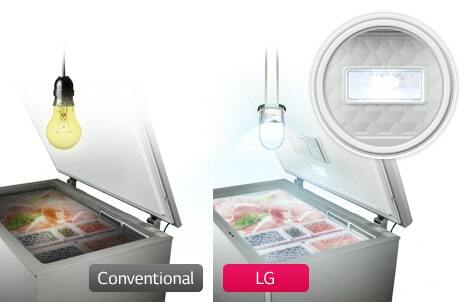 Always keep your food fresher and longer with LG’s technology. 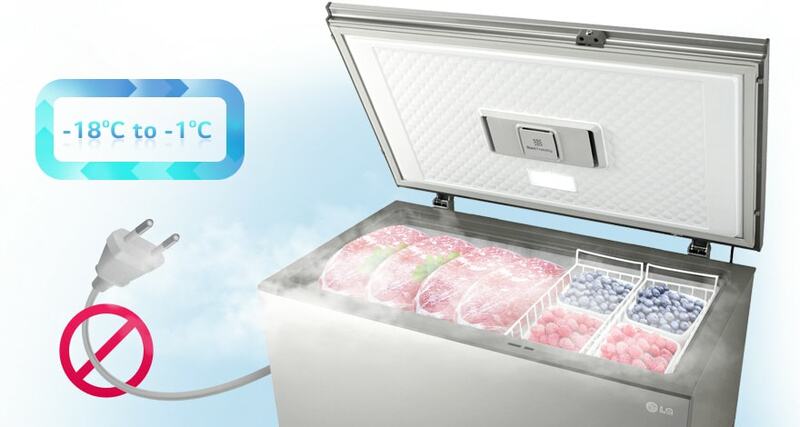 *Based on LG internal test method, the elapsed time for temperature rising from -18℃ to -1℃ in freezer while the power is turned off.A certain food could spoil and ice cream may melt as temperature increases. Consumers shall check the quality of the food before they take. LG fully covers the voltage fluctuation. 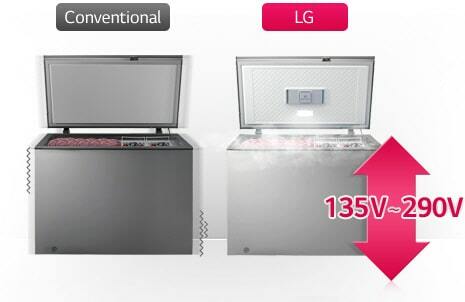 LG guarantees voltage fluctuation range 135V ~ 290V. 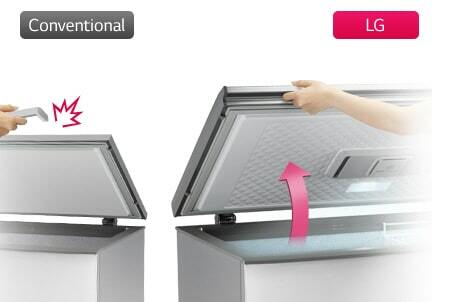 No need to worry anymore about abnormal stopping with LG Refrigerator. Blast Freezing makes “30% faster freezing speed” than the models without FAN! 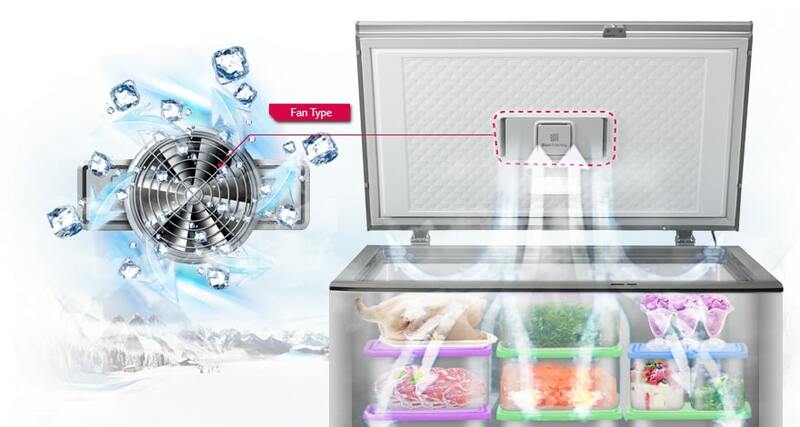 Cold-air circulation occurs by fan blowing from door ceiling so it can freeze stored food faster and easier! – Energy Consumption: LED Lighting is more Energy efficient. – Save your bill: LED is a semi-permanent. You don’t need to change it and it consumes much less energy. the right food in a short time. Keep cold-air as bonus to save your money. Most chest freezer users complain about easy breaking handle structure. But now you can smile with Non Breakable Door Handle in LG Refrigerator.